Last week we gave you a World Book Day certificate for you to print out for the kids when they’ve dressed up as their favourite book character. 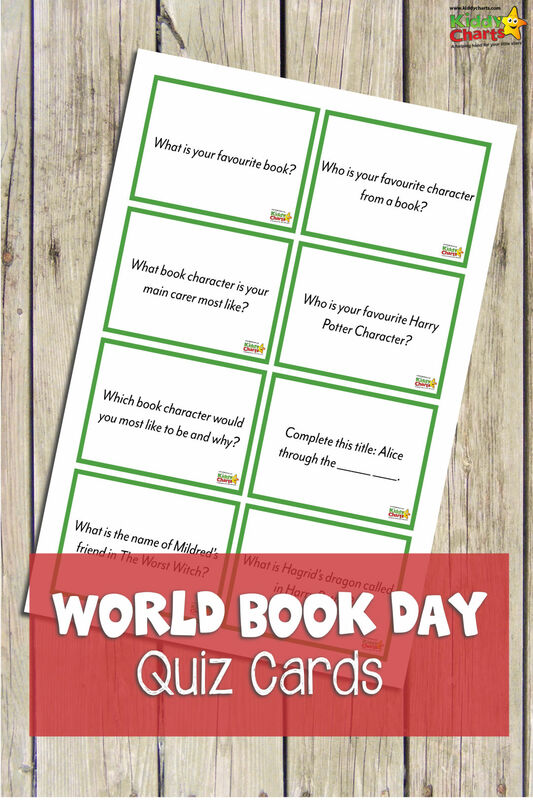 This week we have some World Book Day Quiz cards for you. Who is your favourite character from a book? What book character is your main carer like? Who is your favourite Harry Potter character? Which book character would you most like to be and why? Complete this title: Alice through the ________ ______. What is the name of Mildred’s friend in The Worst Witch? What is Hagrid’s dragon called in the Harry Potter series? That is eight questions on a few of the most famous books around, including the Harry Potter and Worst Witch series. Both of which are some of my favourites for encouraging kids to get reading. Why don’t you adapt some of the questions here and get the children to make up their own quizzes too? You can help them come up with their own ideas for some of the books that they really love. If you are looking for some more reading resources, why don’t you take a look at some of these ideas on the site? Some Reading Quote posters that are good for World Book Day, but more than that, are just designed to help kids realise just how important reading is. Now we’ve shared with you some of the other great resources on the site – you actually want the World Book Day quiz cards, right? Well here they are – just click on the square image below to download them. We are glad that you stopped by today, but if you do want to see more of our articles, including the weekly free printables that we produce – why not sign up to our newsletter? We only send it once a week, though there is a daily version if you should want one. Please feel free to explore the rest of the site, and cheers for coming and supporting us. We’d love it if you can share our site, so we can keep offering these great free resources to you and everyone else. The more people that come, the longer we will be able to stick around. These world book quiz cards look like a great activity for children. I have some younger nieces that might be interested in something like this. Awesome quiz card, I dont think i can sincerely answer all those question.. But they are really great. It would be nice to engage in such an activity with the kids. Quizzes can be very thought-provoking hence boost memory and creativity for kids. Awesome! I am going to share this with my friend who is a second grade teacher. She is going to love this. I am sure her students will be thrilled to discuss the books they loved reading! I love these, as a former teacher and now a grandmother of three I am always reading to them and teaching them that books are fun! Thanks for sharing these! I remember dressing up for World Book Day, I used to love it! You always have the best tips and tricks and I love your free printables. Thank you! I think these cards are great conversation starters with kids. It helps to have hem really see books as conversation pieces. What great cards!! I love that the questions will start a fun dialogue with the kiddos! I love these! My little guy isn’t reading just yet but we do read as a family and I think I’m definitely going to start implementing this even now :) Thanks so much for the idea!!! This is just perfect. We’re celebrating the world book day in school and this is what I have in mind. I really appreciate this. P.s. I super love your site. 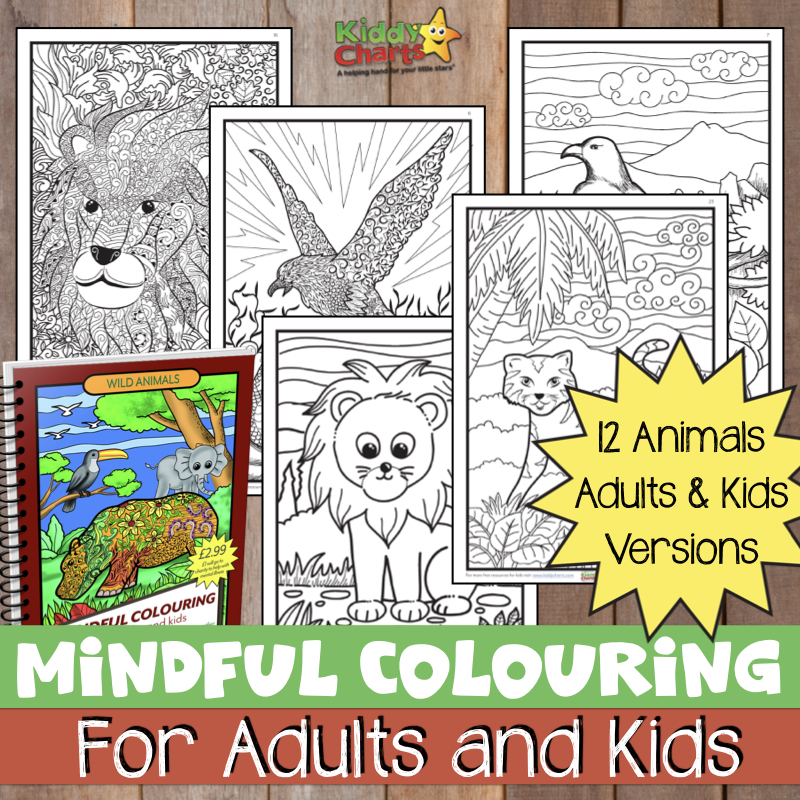 Lots of wonderful resources.